Please join us in Leesport, PA for a Arborwall home tour and open house on Sunday, December 2nd from 10am -2pm. Stop by and experience first-hand the beauty of an Arborwall Solid Cedar home! Our local dealer, construction professionals and the homeowners will be on-site and ready to answer all of your questions on design, manufacturing, construction, energy efficiency and how to get started on planning your own Arborwall home. What is an Arborwall home? Arborwall Solid Cedar Homes were created to have all of the benefits of solid log home construction but without the traditional rustic appearance. 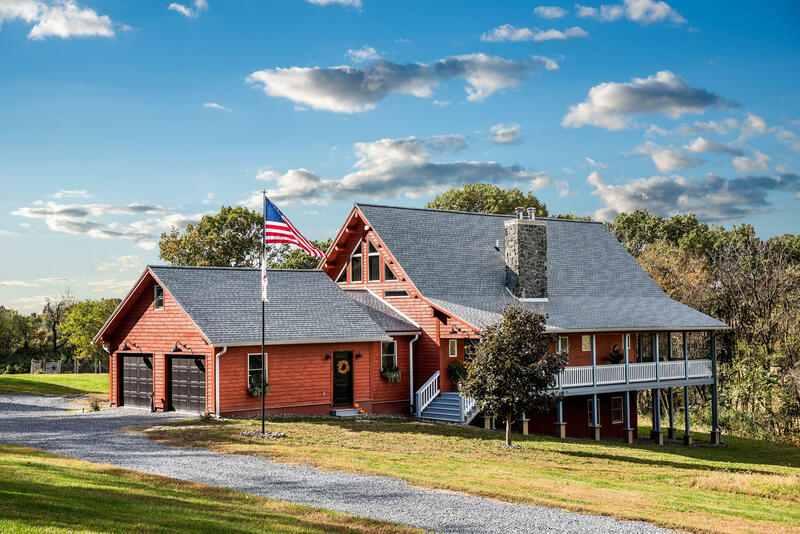 Using the milling and construction techniques honed by sister company Katahdin Cedar Log Homes, Arborwall is able to combine whole log construction and stability with high-efficiency insulation and a myriad of options for finishing the interior walls. The exterior of the logs are planed to mimic a clapboard-style face, rather than a rounded or flat profile, allowing the log constructed home to blend into familiar urban and suburban settings. This ability to use Northern White Cedar’s natural low-moisture qualities provides a finished home that is technologically and aesthetically more complete than a log-sided, traditionally-framed home. To save your spot for this free event, and receive address information, click the RSVP link.